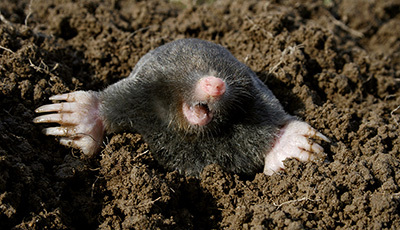 Moles search your property for worms and grubs, their primary diet. 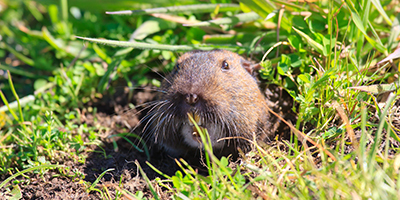 You might think that they are similar to gophers because they can destroy your landscaped areas including flowerbeds, gardens, and bushes, but they are quite different. While gophers eat the roots of plants and bushes, moles cause damage by uplifting the soil while traveling around your property looking for food. The process of them traveling can uproot and kill flowers and bushes. After years of fine-tuning our mole control service we have perfected the art of effective mole removal. 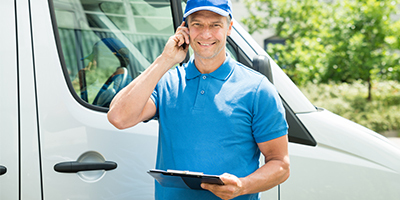 Typically, our method will involve two visits approximately one week apart by our experienced pest removal technicians who have been trained in mole eradication. Moles can sometimes be very evasive. That’s why here at Gopher Patrol, we recommend enrolling in our monthly mole control service, as maintaining control is key to proper mole eradication. With monthly mole removal service, you can let the experts take care of the mole problem and spend your valuable time on more exciting and fun endeavors. Our radio dispatched and fully–licensed technicians have been fingerprinted and registered with the Department of Justice, so you can be at ease in knowing that only true professionals will be on your property. If you would like more information about our mole removal service, call us at 1-888-466-4674 or to schedule an appointment online. Don’t call the “bug guy” or the “termite man;” instead, call Southern California’s Top Rated Local® mole control experts at Gopher Patrol.